Well, it has been forever since I last posted! So much has happened I could spend an entire post just on the last year and half. Mark and I welcomed a new addition to our family! 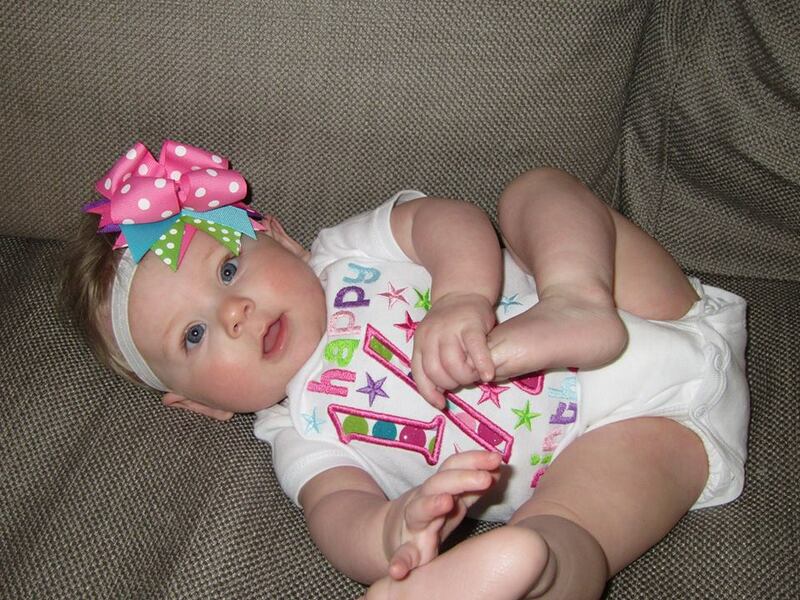 Miss Annabeth was born last fall and she has been such a blessing to our family. Well, I decided to come and post today because I really wanted to share this recipe for Shepherds Pie with you. 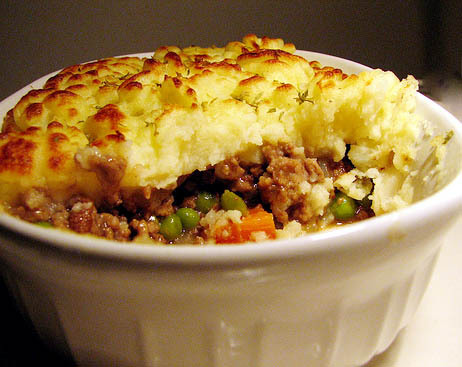 For years, I was the person who refused to eat Shepherds Pie. Individually I like every ingredient that it takes to make Shepherds Pie; however, every time I saw Shepherds Pie it looked like pig slop. Mark; however, is a huge fan of Shepherds Pie. I try really hard to make things that Mark likes, specially when I am on the hunt for a new recipe to try at home. This past fall I was on the hunt for a recipe. Something new. Something I had never made before. As I was searching through the hundreds of recipes I have saved in my Pinterest account I kept coming back to this recipe for Shepherds Pie. The picture alone looked amazing and I was in the mood to try something new. So, I decided to jump in with both feet and make my own Shepherds Pie. As always, I added quite a few of my own tweaks to the recipe to make it “my own” and OMG I could not believe just how good it turned out! We devoured the entire pot in a two day time span. Since then I have made this Shepherds Pie dozens of times throughout the fall and winter. As a note, the leftovers are just as good! Mark and I usually end up fighting over the last little bit of leftovers left. In a large 7 quart dutch oven heat 1 Tablespoons of Olive Oil over medium heat. Add the onions, carrots and celery; and sautee until the carrots begin to soften, about 5 minutes. Add the 1 Tbsp of the garlic and sautee for 1-2 minutes. Add the cabbage and the frozen peas. Season the vegetables with salt and pepper. Sautee the mixture for 2-3 minutes until the cabbage begins to wilt. Transfer the vegetable mixture to a large bowl and set aside. Using the same dutch over, over medium heat add the ground beef to the pan. Brown the meat until cooked. Once the meat is cooked add the remaining garlic and the fresh Thyme to the pan. Cook for 1-2 minutes. Remove the pan from the heat. Stir in the Worcestershire sauce, ketchup and the concentrated beef stock. Mix the meat mixture with the vegetable mixture and stir until well combined. Spread the meat and vegetable mixture evenly in the bottom of the dutch oven and set aside. Take the mixing bowl with the potatoes and add in all but 1/2 cup of the cheese and the milk. Mash well until combined. Spread the potatoes evenly across the meat/vegetable mixture. Garnish the top with the remaining 1/2 cup of grated cheese. Bake at 400 degrees for about 30 minutes until the sides are bubbling. If the top has not browned while cooking you can use the broiler on high for 1-2 minutes to brown the top of the potatoes. Be careful not to burn the potatoes using the broiler though! Remove the pot from from the oven and allow to sit for 10 minutes before serving. Try serving with a great side roll like the Cheddar Bay Biscuits! Source: adapted from STL Cooks. I have a secret to confess — I love meatloaf! Growing up, meatloaf was always one of my favorite meals my Mom would make. What is there not to love about a meat and potatoes dish? As much as I love meatloaf not all meatloaves are created equally. I think you know what I am talking about! There are those dry-tasteless meatloaves where you have to choke down each and every bite. I am sure there are plenty of you out there who swear they will never eat an other bite of meatloaf again. Before you jump to conclusion just hang on a second — because I have a meatloaf that is going to change your mind forever. When I came across this recipe I knew instantly it would be a success and it has become a monthly staple in our household — normally on long run days when we have a lot of room to eat a little unhealthier! 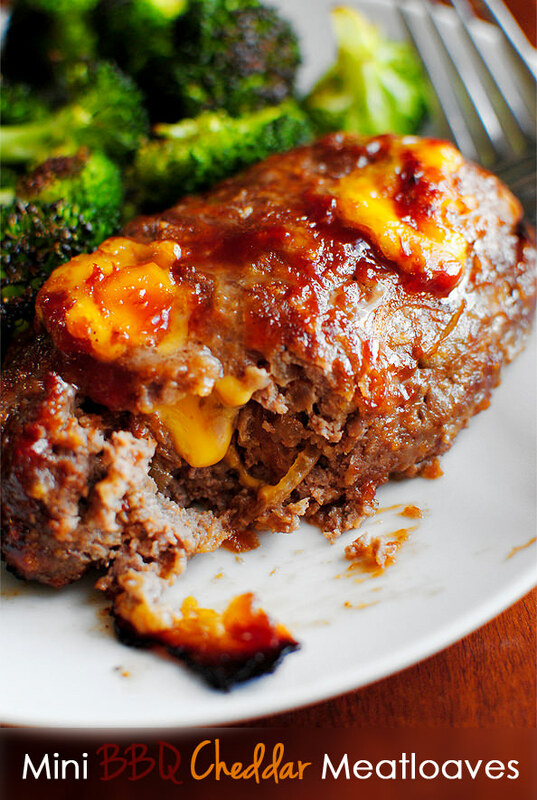 This meatloaf is just like a BBQ Cheeseburger. There is so much flavor in the meat alone and the Worcestershire and BBQ sauce keep the moister in the meat while it is cooking. The caramelized onions are amazing and add such a sweet flavor and crunch. The only thing that could make this meatloaf better is what — BACON!! Everyone in a while I will wrap one or two slices of bacon over the top of the loaves before popping them into the oven. This is the perfect indoor recipe for giving you the perfect feeling of having a summer BBQ with cheeseburgers! Enjoy!! Photo by Iowa Girl Eats. Over medium heat, melt the butter in a large skillet. Cut the onion into thin slices and add the onions to the pan. Sprinkle the onions with salt and pepper and stir. Cook the onions, stirring every couple of minutes, until the onions are caramelized. Turn the heat down if you notice the onions are burning. Once caramelized, set the onions aside to slightly cool. Preheat the oven to 425 degrees. Prepare a large baking sheet by lining it with foil. In a large bowl combine the ground beef, egg, Worcestershire sauce, 4 tablespoons BBQ sauce, bread crumbs, cheese cubes, caramelized onions, and a dash of salt and pepper. Mix together just until combined. Divide the mixture into 4 equal-sized portions and form them into mini-meatloaves. Place each one of the foil lined baking sheet. Spread 1-2 tablespoons of BBQ sauce over the top of each loaf and then bake for 20 minutes, or until no longer pink the center. Source: adapted slightly from Iowa Girl Eats. St. Patrick’s Day is this coming Sunday and that means one thing to my husband… Corned Beef and Cabbage! I must admit, that I have never-ever been a big fan of corned beef and cabbage. Most of the time the corned beef is dry, chewy and tasteless — and the cabbage just tastes like mushy baby food! Icky! But when Mark asked for corned beef for St. Patrick’s Day I knew I had to give it a try. This is by far the most amazing corned beef and cabbage that I have ever ate — let alone made. 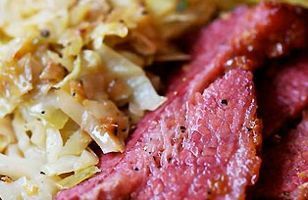 The beer and spices make the corned beef melt-in-your-mouth tender and flavorful, and the cabbage still has a nice crispy bite to it! No soggy baby food cabbage or leathery corned beef here! In the dozens of times I have made this recipe it has never failed. The best part — it cooks in the crockpot all day while I am at work! How easy is that!?! Mark nor I like a ton of hearty vegetables with our meals so I normally leave out the carrots and the potatoes; and I time the corned beef so that I get home with one hour left to cook when I get home so I can just toss in the cabbage. If you are looking for a fail proof recipe this St. Patrick’s Day trust me — this is the one! In the bottom of your crockpot place the wedges of onions and the crushed garlic. (The onions will act as a “stand” for the corned beef so it does not touch the bottom of the crockpot and dry out while cooking.) Place the corned beef onto of the onions and the garlic. In a medium sized mixing bowl stir together the water, beer, sugar and vinegar. Pour the mixture over the corned beef. Sprinkle the seasoning packet included with the corned beef, salt and pepper onto the top of the corned beef. Cover the crockpot, turn it on low and cook the corned beef for 8 hours. After 4 hours of cooking add in the potatoes and the carrots, if you desire. Cover and continue cooking. With 1 hour remaining, add the cabbage to the crockpot. Cover and continue to cook for the remaining hour. Source: adapted from Family Fresh Meals.